In this tutorial, we are going to learn how to create shadows in Babylon JS. Shadows are now becoming dynamic, and they are now dynamically generated depending upon a light. You might want to visit the playground scene for this tutorial. Shadows are easy to generate using the babylon.js ShadowGenerator. 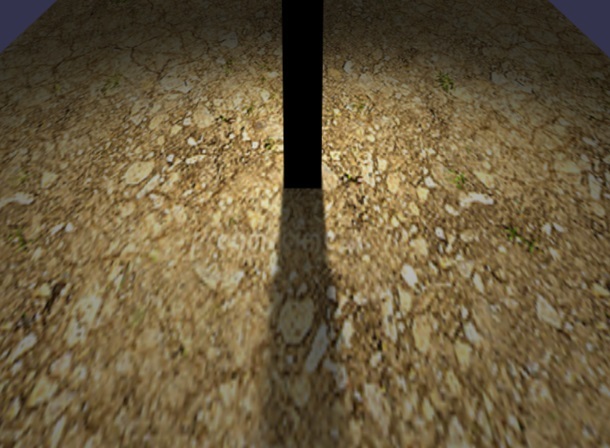 This function uses a shadow map: a map of your scene generated from the light’s point of view. 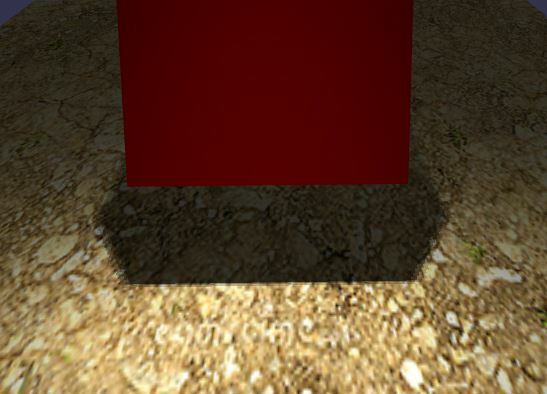 The two parameters used by the shadow generator are: the size of the shadow map, and which light is used for the shadow map's computation. If you want to go further, you can activate shadows filtering in order to create better looking shadows by removing the hard edges. If you set this one to true, Variance shadow maps will be disabled. 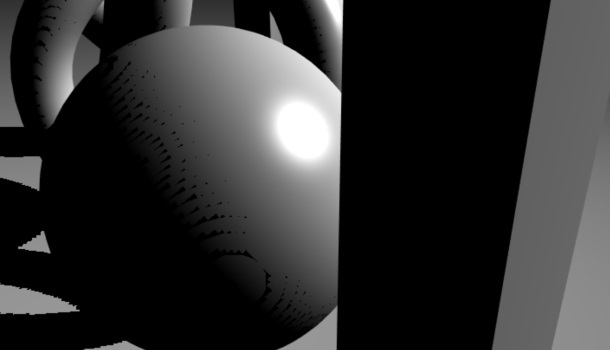 This filter uses Poisson sampling to soften shadows. The result is better, but slower. It is true by default, because it is useful to decrease the aliasing of the shadow. But if you want to reduce computation time, feel free to turn it off. 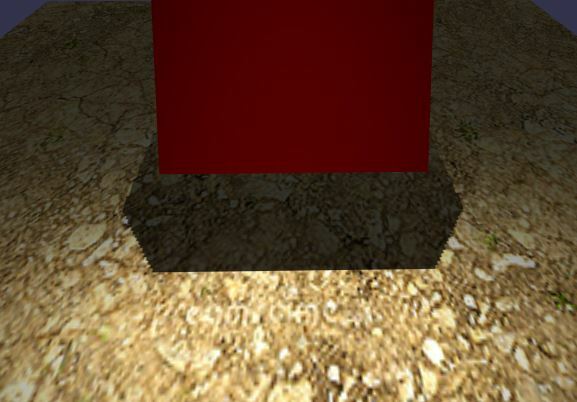 You can also control how the exponential shadow map scales depth values by changing the shadowGenerator.depthScale. By default, the value is 50.0 but you may want to change it if the depth scale of your world (the distance between MinZ and MaxZ) is small. This is the better soften shadow filter but the slower as well. 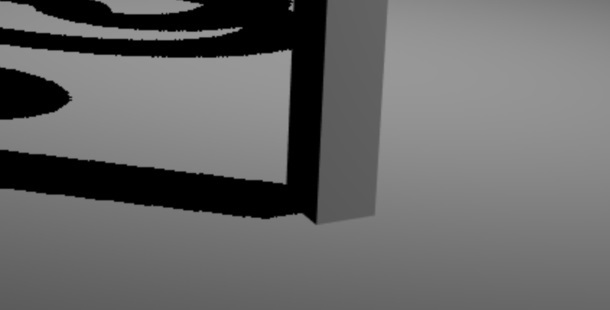 It uses blurred exponential shadow map. shadowGenerator.blurBoxOffset: Define the offset of the box's edge used to apply the blur. By default, the value is 1 (Meaning the box will go from -1 to 1 in both directions resulting in 9 values read by the blur postprocess). shadowGenerator.useKernelBlur: You can decide to use kernel blur instead of box blur. While a bit more expensive, the quality of the shadow is far better with kernel blur. You can control the kernel size with shadowGenerator.blurKernel, which default value is 1. You must provide the smallest range of depth values from your light by setting light.shadowMinZ and light.shadowMaxZ. The smaller the range is, the better the shadow will be. You must ensure that the light is as close as possible to the shadow casters. Starting with Babylon.js 3.2, a new way of dealing with shadow maps was introduced. This greatly improves the performance and setup of shadows. PCF shadows benefit from the new hardware filtering functions available in Webgl2 and produce a smoother version of Poisson sampling. They fallback to the standard Poisson Sampling when Webgl2 is not available on the target device. As PCF requires more resources than can be available on small platforms, you can use the filteringQuality property to choose the best tradeoff between quality and performance depending on your experience (the lower the quality the better the performance). Only Point and Directional lights are currently supported by PCF. Starting with Babylon.js 3.2, contact hardening shadows based on PCSS shadows was introduced. PCSS could be seen as an improved version of PCF but despite looking better they are also more processor expensive and should be reserved for desktop applications. Like PCF, they will automatically fallback to Poisson Sampling if the code is running on a WebGL 1 platform. In PCSS, the shadows will get softer when they are further away from the object casting them, simulating what happens in real life. You can also play with the following parameter contactHardeningLightSizeUVRatio in order to change how fast the shadow softens (between 0 and 1). As PCSS requires more resources than can be available on small platform, you can use the filteringQuality property to choose the best tradeoff between quality and performances depending on your experience. (the lower the quality the better the performances). Only Point and Directional lights are currently supported by PCSS. Keep in mind that this shadow generator can only be used with one light. If you want to generate shadows from another light, then you will need to create another shadow generator. Only point, directional and spot lights can cast shadows. Furthermore, BlurExponentialShadowMap and CloseBlurExponentialShadowMap are not supported by point lights (mostly because blurring the six faces of the cubemap would be too expensive). To optimize rendering, you can also decide to use the point light like an unlimited spot light if you are sure that all shadow casters are on the same side of the light. To do so, just specify a direction for your light and automatically Babylon.js will use a simple texture for the shadow map instead of the cubemap. Spot lights use perspective projection to compute the shadow map. light.shadowOrthoScale: 0.1 by default which means that the projection window is increase by 10% from the optimal size. light.shadowFrustumSize: Off by default with a value of 0. You can specify a value which will be used to define the square size of the frustum to use. Shadow mapping is a great technique but it is not perfect. Several parameters can be tweaked to help improving final rendering. 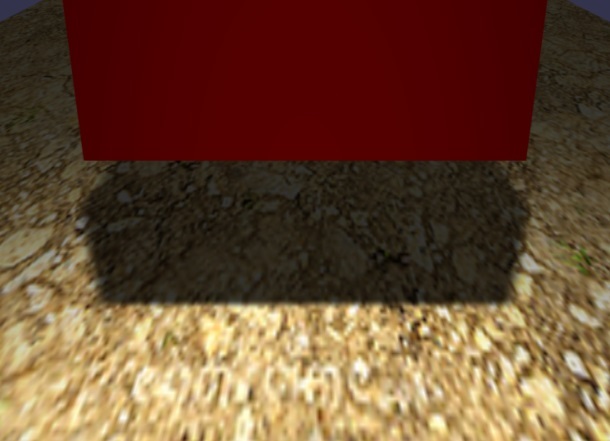 Shadow generators compare the depth of every pixel with the depth of occluders (shadow casters) seen from the light point of view. 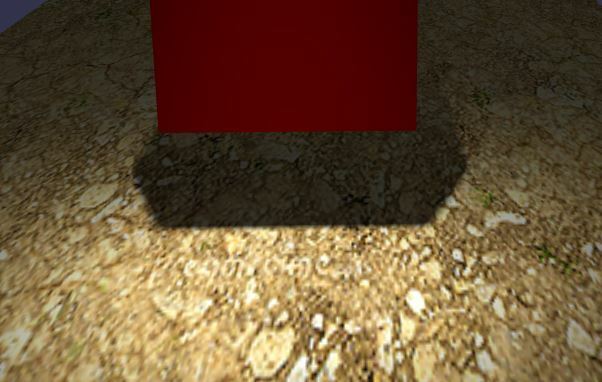 As we are dealing with low precision textures (when supported Babylon.js will use float textures but low-end devices only support int textures), you may want to boost the depth of occluders to facilitate self-shadowing (An object casting shadows on itself). You can improve self-shadowing issues by setting shadowGenerator.forceBackFacesOnly to true. 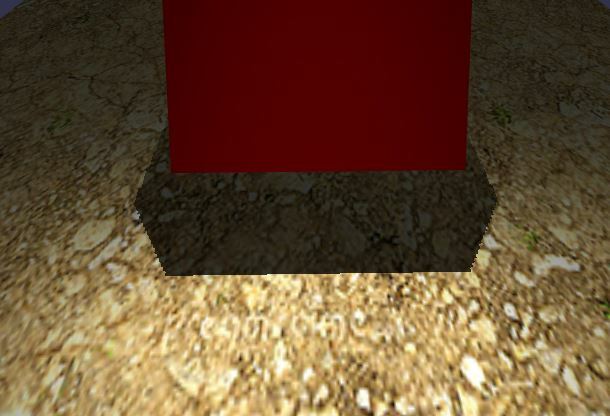 This will force the shadow generator to render back faces of your mesh to the shadow map. This can clearly improve the overall precision and reduce the need for a bias. By default, the projection matrix of a light uses the minZ and maxZ of the main camera. But you may want to control it in order to get a more precise shadow map by reducing the distance between minZ and maxZ. To do so you can set light.shadowMinZ and light.shadowMaxZ. As mentioned earlier, if you want blurred shadows on a self-shadowing object, the best option will probably to go with close exponential shadow map. This property controls the extent to which the shadows fade out at the edge of the frustum. It is used only by directional and spot lights. By default, the value is set to 0 (no falloff) and 1.0 (complete falloff). In case you have a static game world (objects which cast shadows) - there is no need to do the same shadow calculations 60 times per second. It could be enough to create and place a shadowMap only once. This greatly improves performance, allowing higher values of shadowMap's resolution. As you can notice there are weird patterns appearing everywhere on the surface of the self-shadowed objects. This is called shadow acnea (more information). Fortunately, in Babylon we do have a way to solve the issue. Unfortunately doing this introduces another side effect called peter panning where the shadows are not attached to their objects anymore. This is where you can benefit from a BabylonJS 3.2 feature called normal bias. All the artifacts are now gone and it is time to make our shadows look awesome. Now the contact hardening effect is present but the acnea is even stronger. Unfortunately, the bias is applied on the normalized coordinates depth (0-1) so changing the near and far value of the light impacts how big the bias should be. Your shadows are now soft without acnea or peter panning. In order to update your own uniforms, you can rely on shadowGenerator.onBeforeShadowMapRenderObservable observable. This will be called for you everytime the shadow map will be rendered and it will give you the current compiled effect. Now that you are becoming a real professional about Babylon.js, maybe it’s time to go deeper into the code to manipulate complex shaders, mesh, or textures. Our home menu for our wiki is your portal to many advanced topics. You can also participate in this project by going to our Github page: https://github.com/BabylonJS/Babylon.js and also by participating in our very active forum: https://forum.babylonjs.com. See you there.